Mr. DOOLITTLE. Mr. Chairman, will the gentleman yield? Mr. PAUL. I yield to the gentleman from California. 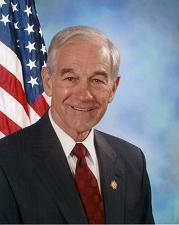 1998 Ron Paul 70:1 I yield to the gentleman from California. Here, Ron Paul yields to The Honorable John T. Doolittle.